Has been used in inflammation of the skin, ulcers, intermittent fever, etc., and as a vulnerary (a healing application for wounds), and externally as a stimulant application to sores. Applied to a bleeding surface, the leaves are of some value in arresting hemorrhage, but they are useless in internal hemorrhage, although they were formerly used for bleeding of the lungs and stomach, consumption and dysentery. The fresh leaves are applied whole or bruised in the form of a poultice. Rubbed on parts of the body stung by insects, nettles, etc., or as an application to burns and scalds, the leaves will afford relief and will stop the bleeding of minor wounds. Some of the recipes for ointments in which Plantain is an ingredient have lingered to the present day. 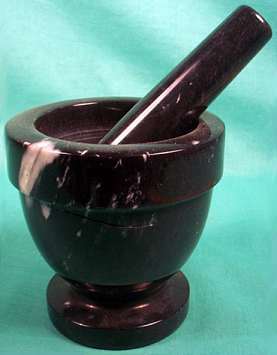 Lady Northcote, in The Book of Herbs (1903), mentions an ointment made by an old woman in Exeter that was in much request. It was made from Southernwood, Plantain leaves, Black Currant leaves, Elder buds, Angelica and Parsley, chopped, pounded and simmered with clarified butter and was considered most useful for burns or raw surfaces. 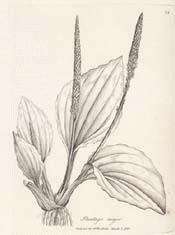 Decoctions of Plantain entered into almost every old remedy, and it was boiled with Docks, Comfrey and a variety of flowers. To prepare a plain infusion, still recommended in herbal medicine for diarrhea and hemorrhoids, pour 1 pint of boiling water on 1 oz. 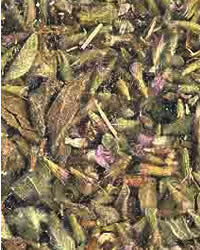 of the herb, stand in a warm place for 20 minutes, afterwards strain and let cool. Take a wineglassful to half a teacupful three or four times a day.